Climatrol goes above and beyond to provide our HVAC customers with the services and support to ensure your satisfaction. We arrive on time, charge reasonable rates for our services, reach you promptly for both routine and emergency service, and are dedicated to offering the exceptional service you deserve. We are licensed, insured, certified technicians, and authorized dealers of the equipment that we install, including York and Lennox. All of our services are backed by our valuable workmanship warranty. At Climatrol, we don’t take shortcuts. As a NATE-certified contractor, we ensure that your new system will provide you with years of reliable service. Let us help you make the best choice for your HVAC installation. Our team is highly trained, skilled, and experienced. We continue to stay up-to-date with recent advances in Heating, Air Conditioning, and air quality technology, as well as updates from the companies for which we are authorized sales, installation, and service contractors. In most cases, we are able to complete minor services in just one trip, as our trucks are fully stocked to help save time and money. For larger jobs, we will work with you and your other contractors to develop an optimal timetable for project completion. We are honest, and truly do out best to provide you with the information required to make the best decision for your home or business. 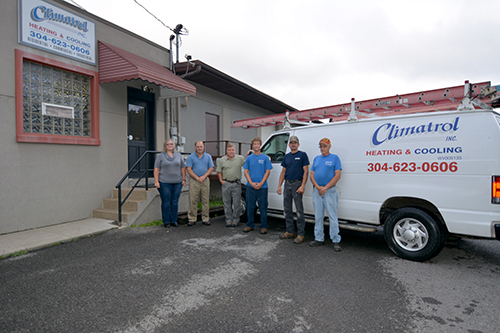 Contact Climatrol with any questions that you may have about our services or to schedule a consultation: (304) 623-0606.